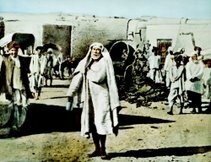 In the book "The Incredible Sai Baba - The life and miracles of modern-day saint, by Arthur Osborne, is mention of the statement of his devotee, Mrs. Manager. 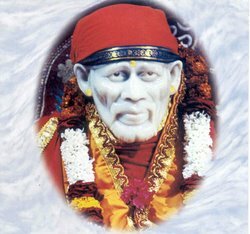 "One's first impression of Sai Baba was of his eyes. There was such power and penetration in his gaze that no one could long look him in the eyes. One felt that he was reading one through and through. Soon one lowered one's eyes and bowed down. One felt that he was not only in their heart but in every atom of one's body. 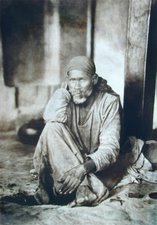 A few words or a gesture would reveal to one that Sai Baba knew all about the past, present and event the future and about everything else. There was nothing else to do but to submit trustfully and surrender oneself to him. And he was there to look after every minute detail and guide one through every vicissitude of life. It is his love and protection, the spiritual exaltation of his presence, that she emphasises. 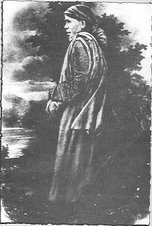 'It was not merely his power that endeared him to his devotees. 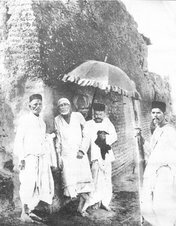 His loving care combined with his powers to make Shirdi a veritable paradise to those devotees who went there. Directly we arrived there we felt safe, that nothing could harm us. When I went and sat in his presence I always forgot my pain, and indeed the body itself and all mundane cares and anxieties. Hours would pass while I sat blissfully unaware of their passage. It was extraordinary experience shared, I beleive by all his real devotees. He was all in all and the All for us.'" i would completely agree with Mrs. Manager's statement, such is the power of grace of Sai Baba along with his love and protection. And many of his devotees would agree too.
" 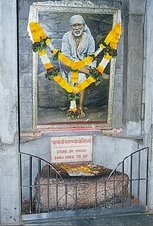 Of recent origin, this shrine built near the Mumbai–Pune road has been drawing devotees from far and near to obtain darshan of Sai baba. Every Thursday, a mahabishekam of the icon with 108 litres of milk, followed by 2,000 litres of water takes place. Devotees throng the place to watch the event. 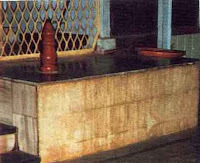 An enormous over 27 ft high murti of Sri Sai Baba in a rare standing posture, put up in 1999, commands attention. The statue is believed to be the tallest one in the world"
Alpesh, thanks for this lovely post and the pointer to the shrine. 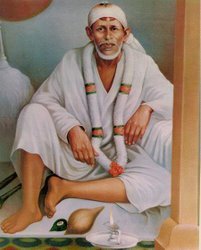 Have heard that Shirdi Baba's eyes used to glow in the dark, like those of a cat! 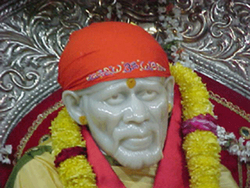 IN SAI SATCHARITRA, BABA HAD REFERRED TO SOME OF HIS DEVOTEES TO READ RAMVIJAY BOOK. WHERE IT WOULD BE AVAILABLE?? CAN YOU PLS. HELP ME?? 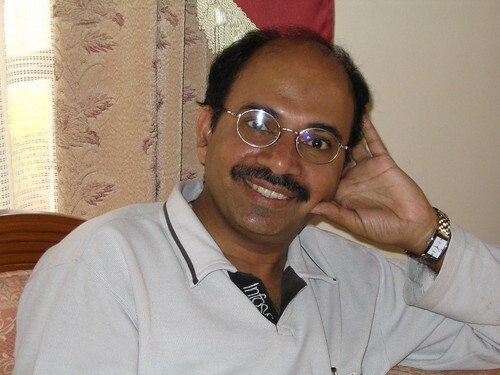 JAI SAI RAM, KINDLY INFORM ME FROM WHERE CAN I GET RAM VIJAY BOOK? ?